Europa Road is celebrating six months of success at its Sheffield Road branch, based at Broadfield Close. 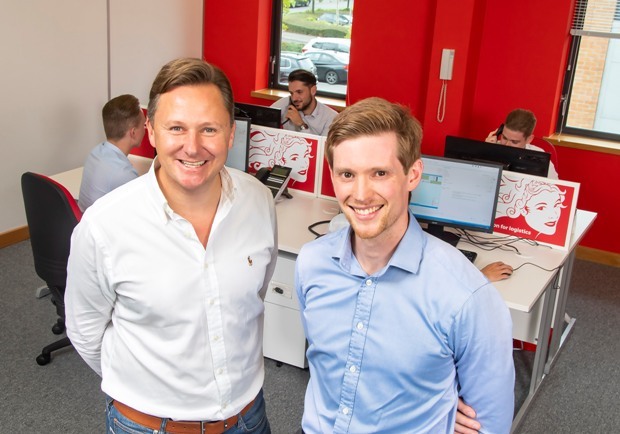 Since its launch last September, the newly opened sales office has more than doubled its employment, turnover and gross profit figures, growing by 133 per cent. Sheffield was chosen by Europa as the preferred location for a new Road sales branch to expand opportunities to provide collection and distribution requirements across the South Yorkshire region. Alongside Nathan, who previously worked as Branch Manager at Europa’s Leeds office, the Sheffield team has six employees, who focus on providing sales support to a rapidly increasing list of customers across the South Yorkshire area. With growth expected to continue, Europa is predicting the size of the Sheffield team to double within the next 12 months. The expansion into South Yorkshire allows the Europa Road division to tap into new customer markets within advanced manufacturing, presenting a wider opportunity for the company to boost growth and productivity. Europa Worldwide Group is a specialist road, air and sea, warehouse and showfreight operator employing more than 900 people across 16 sites in the UK, as well as Hong Kong, Czech Republicand Belgium, and with representation in 100 countries.